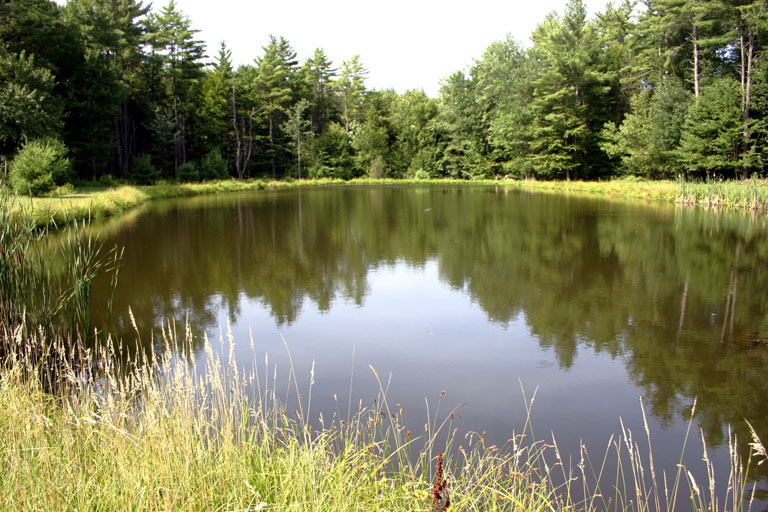 Enjoy a contemplative stroll around our spring fed pond. 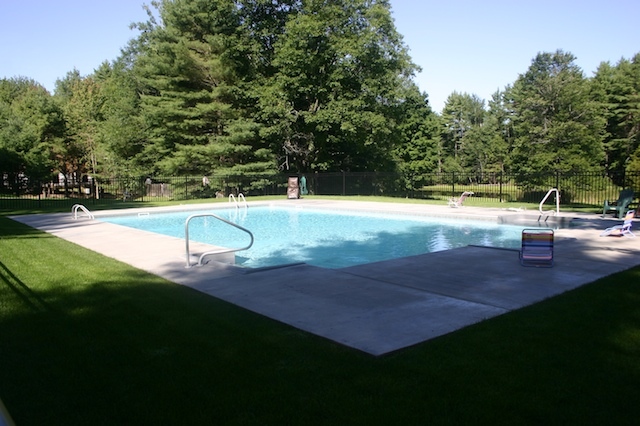 The large mouth bass, a friendly bullfrog, and our saltwater pool welcome you. 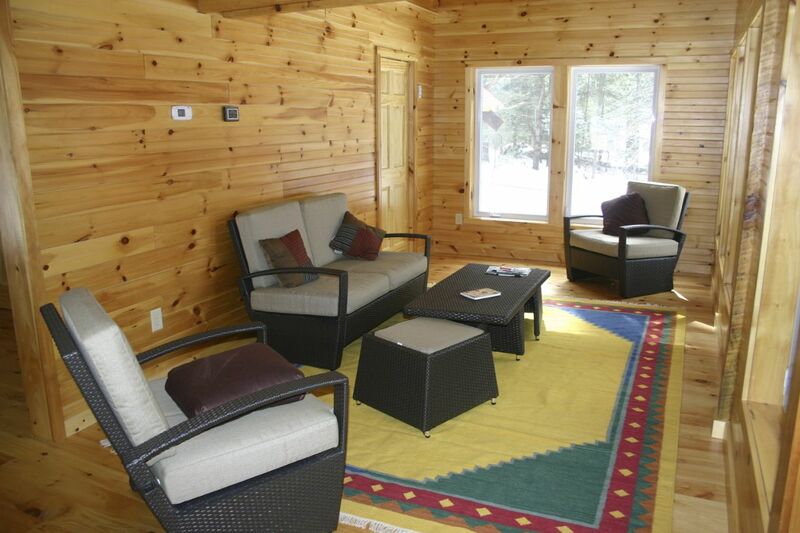 Take the edge off summer in the city and feel the peace and tranquillity of Emerald Forest Bungalows. Our grandparents remember spending summers at Catskill resorts, singing in variety shows, telling corny borscht belt jokes. That era is behind us, though Patrick Swayze and Jennifer Grey won’t let us put that memory in the corner, Baby. Summering in the Catskills is a New York tradition, ripe for revitalization. Vacationing locally makes more sense now than ever. You can minimize your carbon footprint, traveling less for your getaway. While only two hours from the city, Emerald Forest Bungalows feels like another world. We invite you to join us, light a barbecue or a bonfire, bring your family and friends. 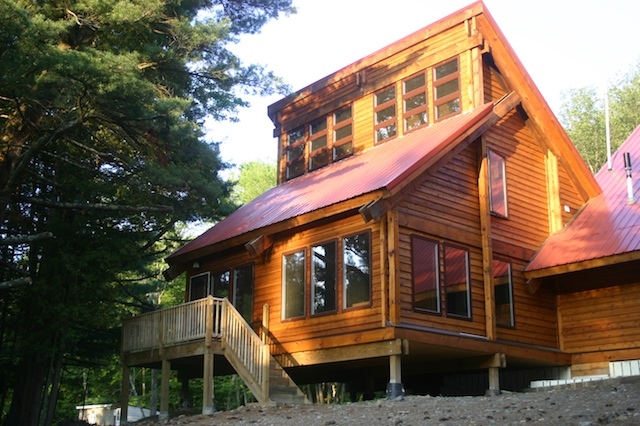 Stay in our brand new cabins with stainless steel appliances, a giant loft for extra sleeping or play space and a view of the woods Thoreau would envy. Fish in the pond. Swim laps or just cool off in the Salt Water Pool. Take in the beautiful autumn foliage or the white winter landscape. We have walking trails here on the property and three nature preserves within half an hour drive Mohonk, Minnewaska State Park, and Sam’s Point. 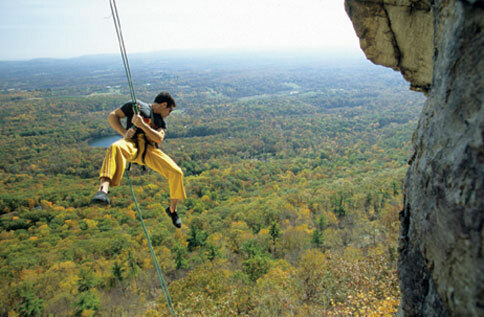 In addition we are only a 20 minute drive to one of the world's premier climbing craigs, THE GUNKS!! 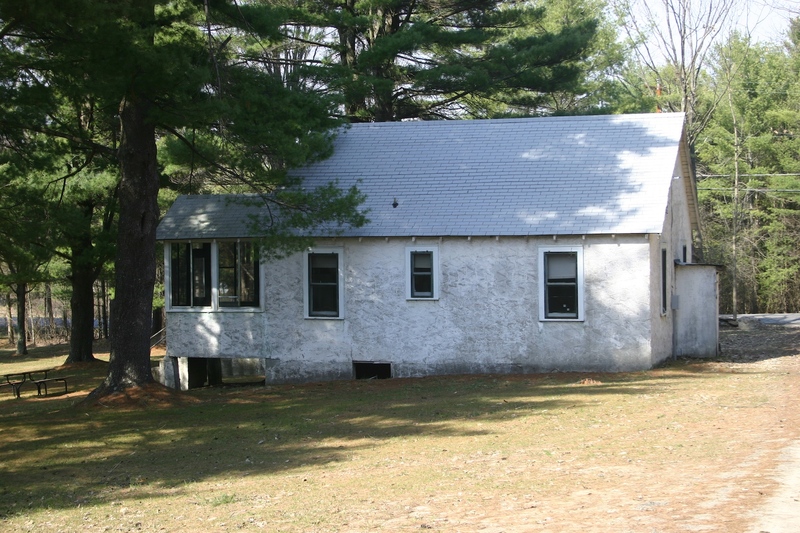 All offer beautiful views of the Hudson Valley and Shawangunk Ridge, a world class climbing destination. Climb or hike all day and come home to Emerald Forest Bungalows: aka Jake's Place for a hot shower and an evening of stargazing. 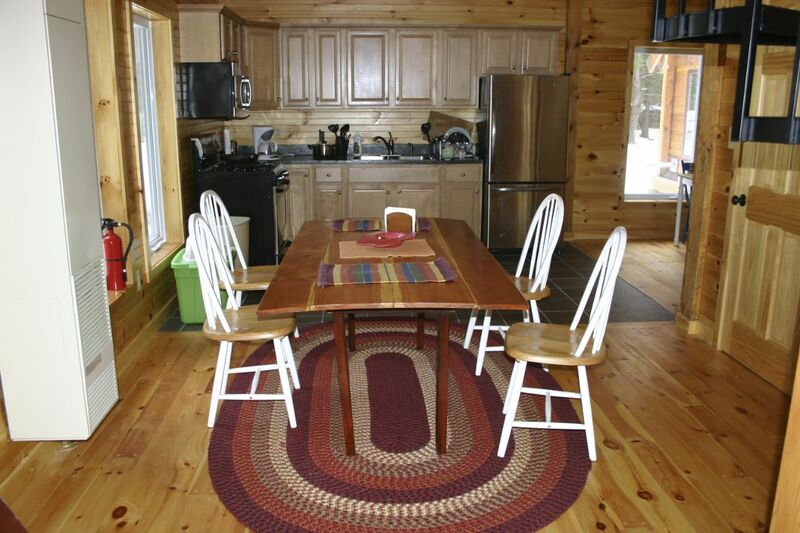 All new cabins/chalets have wi-fi access. We hope to see you soon.